RIYADH/DUBAI -- Saudi Arabia, its finances hit by low oil prices, announced plans to shrink a record state budget deficit with spending cuts, reforms to energy subsidies and a drive to raise revenue from taxes and privatization. The 2016 budget, released by the finance ministry on Monday, marked the biggest shake-up to economic policy in the world's top crude exporter for over a decade, and includes politically sensitive reforms from which authorities previously shied away. The plan suggests the kingdom is not counting on a major recovery of oil prices any time soon but is instead preparing for a multi-year period of cheap oil. The International Monetary Fund warned in October that Riyadh would run out of money within five years if it did not tighten its belt. "Our economy has the potential to meet challenges," King Salman said in a speech, adding that the 2016 budget launched a phase in which his kingdom would diversify its revenue sources. The government ran a deficit of 367 billion riyals ($97.9 billion) in 2015, or 15 percent of gross domestic product, officials said. The 2016 budget plan aims to cut that to 326 billion riyals, reducing pressure on Riyadh to pay its bills by liquidating assets held abroad. Next year's budget projects spending of 840 billion riyals, down from 975 billion riyals spent this year. The finance ministry said it would review government projects to make them more efficient and ensure they were necessary and affordable. Revenues next year are forecast at 514 billion riyals, down from 608 billion riyals in 2015. The Brent crude oil price averaged about $54 a barrel this year but is now about $37. The largest single allocation in the budget was 213 billion riyals ($56.79 billion) to the military and security services, comprising more than 25 percent of the total. The success or failure of the budget plan will be key to maintaining the confidence of financial markets in Riyadh. As the deficit has swelled, the value of the riyal has dropped to its lowest level since 1999 because of fears that Riyadh may eventually have to abandon its peg to the U.S. dollar. 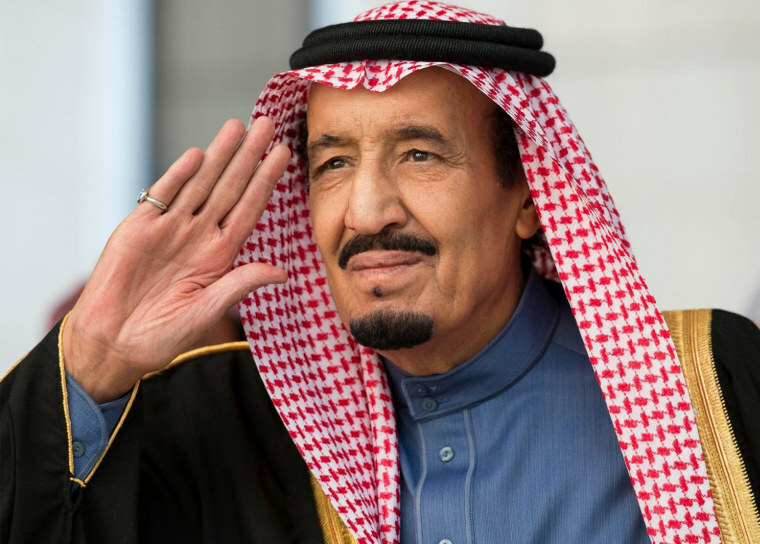 Is Saudi Arabia's 'Islamic Military Alliance' Spin or Game-Changer? In its budget statement, the finance ministry said it would adjust subsidies for water, electricity and petroleum products over the next five years. That is a politically sensitive step, since the kingdom has traditionally kept domestic prices at some of the lowest levels in the world as a social welfare measure. Any changes will aim to make energy use more efficient and conserve natural resources, while minimizing the negative effects on lower- and middle-income Saudis, the ministry said. It also outlined other reforms including "privatizing a range of sectors and economic activities," although it did not give details. The government also plans to introduce a value-added tax in coordination with other countries in the region, and raise taxes on soft drinks and tobacco, the ministry said without giving a timeline.